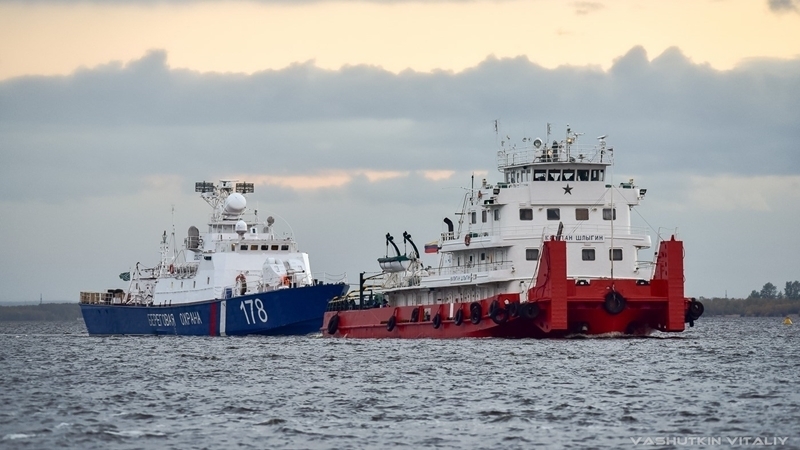 Russia redeployed two ships PSKR-920 Syktyvkar and PSKR-921 Kizlyar of the Coast Guard of the FSB to the Azov Sea in order to increase the number of their surface forces, according to the information on the website of the Ukrainian militarist portal. Kizlyar headed to the Sea of Azov on October 10, and Syktyvkar - on October 11. “It is expected that both ships will arrive in the Sea of Azov after October 20,” reads the message. Both ships were built at the Almaz factory, which is located in St. Petersburg. They are developed according to one project 10410 Svetlyak. The ships are armed with artillery mounts, launchers for SAM Igla, depth-charge battery and grenade launchers for the Ogonek MRG-1. At the end of May 2018, Russia already transferred artillery boats of the Shmel type and one boat of the Grif type to the Sea of Azov. Both vessels are deployed on the base in the annexed Kerch. The Secretary of the National Security and Defense Council (NSDC) of Ukraine, Oleksandr Turchynov, said that in response to Russian aggression, Ukraine is increasing its naval forces and strengthening its coast guard. Previously, the Russian government decided to allocate a plot of the Taganrog Bay water area in the Sea of Azov to the Russian Defense Ministry in order "to ensure the defense and security of the state." The plot of 21.6 square meters. km was provided to the defense department for 20 years. QHA reported that by the end of 2018, a naval base for the Ukrainian Navy is to be created in the Azov Sea. In Berdyansk, two naval gunships were launched.